– It can be as simple as using an exercise book or commercial cash book that can be purchased from a newsagent or stationery store. – records of any loss, sale or disposal of fuel! Have you found that the economy is causing some of your clients to take a hard look at reducing expenses? Is that making them consider the idea of doing their own bookkeeping? If so, don’t panic. As a bookkeeper, there is actually a golden opportunity here, if we look a little deeper. The first reaction most business owners have when they see a sudden (or not-so-sudden) dip in income, is to tighten their belts. And unless they are aware of the true value of your services, they may target their outsourced bookkeeping expense for elimination. “It’s just simple data entry,” they may think. Of course, we bookkeeper’s know that accurate bookkeeping involves far more expertise than simple data entry. But sometimes our clients don’t fully realize that. Before I show you how you can turn this into a golden opportunity, let me tell you what NOT to do. Instead, step into the role of consultant and explore whether this change truly is the best option for your client’s business success. To do this effectively, you MUST get out of your own way! DON’T worry about losing the client. Really. This will likely turn out to be a good deal for you whether the client wants you to continue doing the bookkeeping or not! Focus fully on your client’s welfare for the moment. DO look for how you can assist your client to make the best possible decision for his / her success. You will stand out from the “typical” freelancer in this situation. And you will be setting yourself up for success. If, in fact, it truly would be a wise decision economically for your client to do the books on his/her own (although, most often, this is simply not the case), some training is definitely going to be needed. Maybe a lot of it. 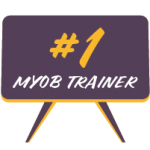 Aren’t you in the best position to provide that training? Even after the client has been adequately trained (and the client isn’t overwhelmed by what it really takes to get the books done right), s/he will probably need ongoing support. This service alone could actually save the client from making a big mess that will cost much more to clean up in the long run. You could even offer to do the bank reconciliations and/or set up a regular review of the books on a monthly or quarterly basis, just to make sure everything stays clean and up to date. The client may find this an invaluable service that won’t break the bank. This type of arrangement is good for your bottom line too because your fee as a trainer and consultant should be at a higher rate than what you’re charging for basic monthly bookkeeping services. The most important factor in pulling this kind of transition off is to really listen to your client and hear where the pain is coming from. You want to provide highly valuable solutions that your client will appreciate. If your client really does want you to continue doing the books, but they are simply looking to cut overhead, offer suggestions for where else in their business they might cut some fat that will provide short-term as well as long-term results. Show them how to find these opportunities in their financial reports. I’ve seen clients whose sole reason for taking back the books was to save money. But they had no desire whatsoever to keep track of their finances. So they soon found themselves in hot water because their bookkeeping records quickly became a disaster. And then, of course, they had to pay big bucks to have their accountant clean up the mess at tax time. Not smart. So whether they keep you as their bookkeeper or not, help your clients to avoid the penny-wise-and-pound-foolish mindset by showing you really care about their success. If needed, help them tighten the belt (as well as identify ways to pull in more revenue) by transitioning to the role of business consultant. As a valued advisor to your clients, you will make your services indispensable, increase your rates, and hold on to top-notch clients for life. Who knew the tight economy could turn out to be such a blessing in disguise? I know the end of the financial year hasn’t occurred but its a good idea to start thinking about it. And one of the things that needs to be seriously considered is your business’s payroll record keeping. I know it sounds easy to keep records regarding employee details, pay and leave. You can keep these records either electronically or in a handwritten format. But here’s the thing. You have to keep these records accessible for seven whole years. If a stern looking officer from the ATO taps you on the shoulder requesting certain documents, can you lay your hands on them pronto. You can store handwritten records in archive boxes or somewhere in the office. But for computerised records, you’re best to archive data either to a CD, memory stick or in the cloud. I always advise my clients to store their records off-site. Importantly, if there is a password connected to the memory media, make sure it’s close by. Can you imagine the nightmare if you had changed the password on your accounting software in later years and couldn’t open the backup copies from previous years because the passwords are different. It happens!